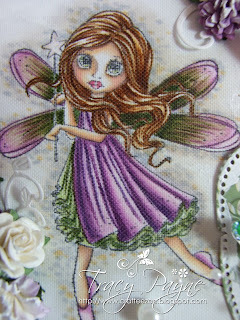 Tracy here with a Saturated Canary image called Fairy Wishes, isn't she a darling. 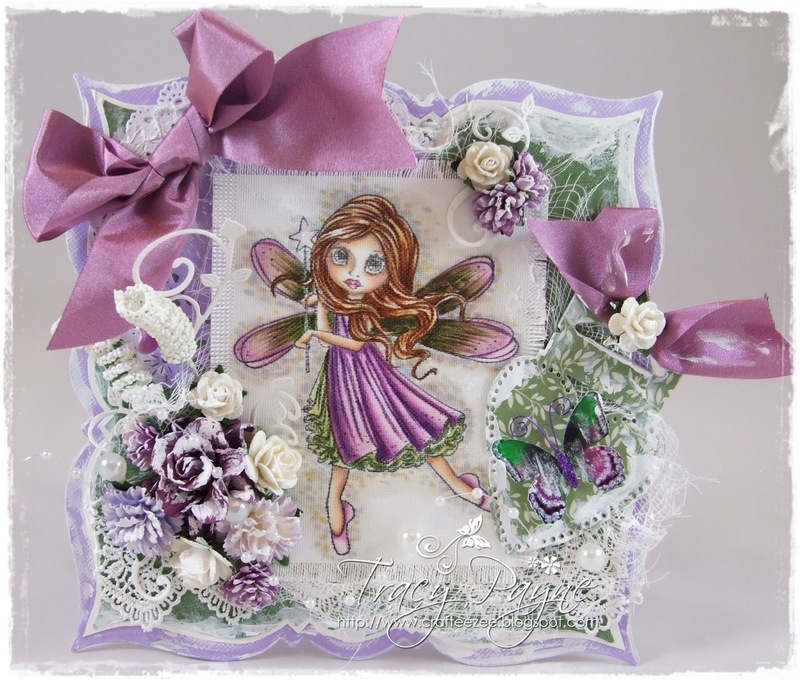 I have stamped her onto Stamping Linen and coloured with Copics. 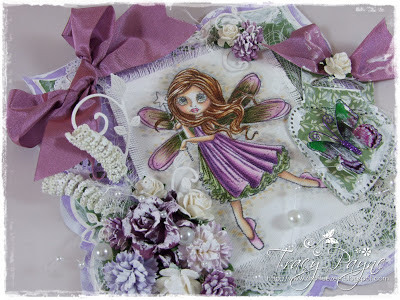 I have used one of my favourite colour combo's, the Violets and Greens which works fabulously with the Kaisercraft Flora Delight 6.5 pad. As usual more pictures can be found on my blog.